Join us February 10th from 2-4pm for our Open House! 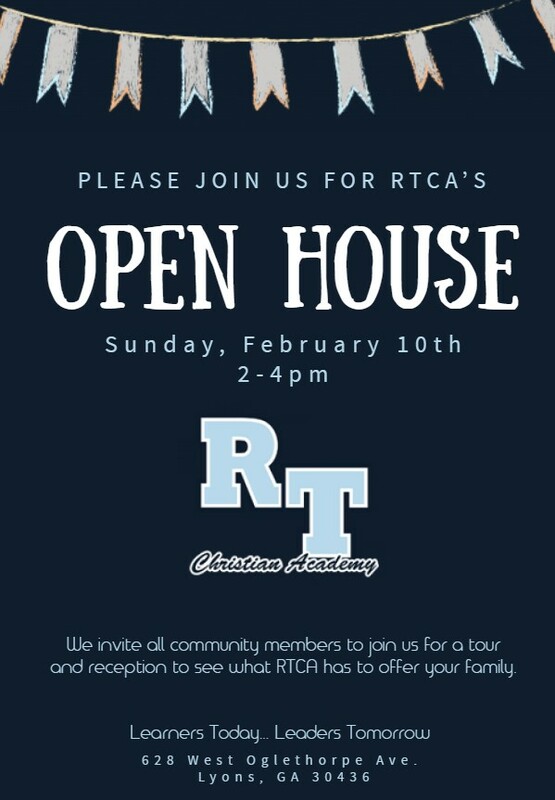 We invite our community members, that are interested in seeing what RTCA has to offer your family, a tour and reception on our campus. We are excited to welcome new prospective students and their families to come to visit with us and see how we are carrying out our mission. shadow day, please call 526-8938 or stop by the school.